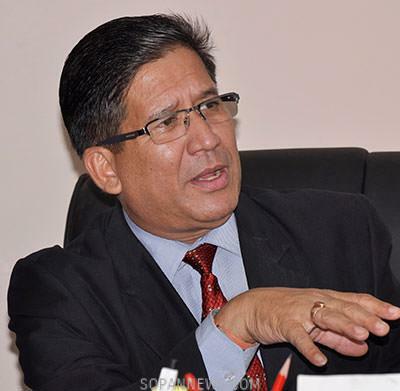 KATHMANDU, Feb 22: The Special Court has convicted Former CEO of Nepal Tourism Board Subas Niraula along with Finance Head Anil Kumar Das and travel entrepreneur Mahendra Khanal on corruption charges. They were found guilty of embezzling Rs 346 million. The Special Court, benched by Chair Baburam Regmi and Justices Dwarika Nath Joshi and Narayan Prasad Pokharel sentenced Niraula to 7 years in jail and Das to 6 years. The former NTB CEO is also charged with guarantee amount of Rs 8 million along with Rs 5.45 million in fine. Finance Head Das has been ordered to pay s 5 million in guarantee along with NRs 2.4 million as fine. Likewise, entrepreneur Khanal was charged with a guarantee amount of Rs 154,000. The Commission for the Investigation of Abuse of Authority (CIAA) had filed a charge-sheet at the Special Court on April, 2015 against 23 employees associated with the NTB for alleged involvement in financial irregularities at the NTB. They were charged with corruption under different headings including submitting fake bills of office expenditures, and receiving the payment bill of beverages from the Board. 20 other employees charged have been cleared of their charges.